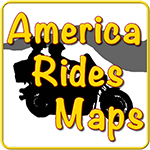 Articles about the site, GPS's, mapping, motorcycle travel and related topics. Articles and maps covering the best routes and places to visit in the Blue Ridge and Smoky Mountains. A Roundtable for the future of motorcycling. My 2016 attempt at riding an off pavement route across the continental United States.